Dr. Peter Nicholas Davey was born on the 3rd of December, 1845 near Tyrone, Durham County, Ontario. His parents were Robert Davey and the former Elizabeth Bullock. Both of his parents were raised in Cornwall, England. His siblings were; Walter, Sarah, his twin brother William Richard and a younger sister named Mary. 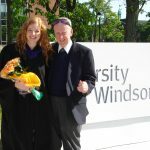 Dr. Davey was raised on a farm and attended schools in the Peterborough area. At the age of 19 he moved to Toronto and attended the Normal School to become a teacher. He taught school for many years. 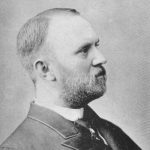 In 1879 he enrolled in Trinity College’s Medical Program and graduated M.D.,C.M. in 1884. Dr. Davey attended the College of Physicians and Surgeons in Edinburgh, Scotland. He wrote and passed the exams in 1884 graduating L., L.M., R.C.P. Dr. Davey returned to Canada and started a medical practice in Duart. According to the 1928 Ontario Medical Register, Dr. Davey joined the College of Physicians and Surgeons on the 15th of November, 1884. 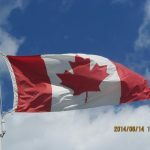 He married Margaret Elizabeth Genge, daughter of Richard Genge and the former Catherine Patterson on the 7th of November, 1889 in Bothwell, Ontario. Her father was the local undertaker and furniture manufacturer. She and her twin brother Edwin were born on the 10th of August, 1864, the youngest of 9 children including another set of twins. Her siblings included Daniel, Samuel, John, Sarah, twins William and Christiana, Richard and Mrs. Davey’s twin brother, Edwin. Dr. and Mrs. Davey had 6 children, all born in Duart. Ethel Gladys was born on the 07th of March, 1890, Edna Irene was born on the 19th of September, 1891, Clarence Genge was born on the 23rd of May, 1893, Hazel Catherine was born on the 28th of June, 1896, Edith Gertrude was born on the 27th of March, 1898 and Margaret Helen was born on the 28th of March, 1901. Dr. Davey was actively involved in local education and sat on the boards of the Ridgetown Collegiate Institute and the Duart Public School. He was a Royal Arch Mason and a member of the Chosen Friends and the Foresters. Dr. Davey was a member of the Presbyterian Church and he was a Liberal Party supporter. Dr. Davey was listed in the 1900 Farmers and Business Directory for Elgin, Essex, Kent and Lambton Counties. 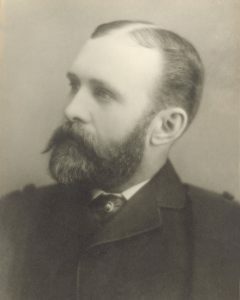 Dr. Davey died on February 2nd, 1909. He was buried at the Duart Cemetery. After his death Mrs. Davey moved to 236 Hyman Street in London, Ontario with her 6 children. 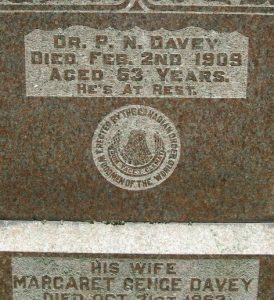 Mrs. Davey died on October 31, 1962 and she was also buried at the Duart Cemetery. His daughter Margaret Helen Davey married Dr. John Archibald Lamont in London, Ontario on the 11th of December, 1926. Dr. Lamont did not practice in Kent County. *Dr. Davey’s son, Clarence Genge Davey served with the United States Army during World War II. His grandson, Peter Euan Davey (son of Clarence) served as a B29 Pilot with the United States Air Force during World War II. **Photo courtesy of Suzy Davey Peers.